Panthea and I can equally be accused of a form of hubris. Me, an overconfidence in myself and my own ability to wrestle through challenging situations. Panthea, that same overconfidence in my decision making. Ok, maybe the latter is not hubris, but trust. She might be safe. Still, together, and despite Panthea’s usual better judgement, we were able to effectively and persistently make terrible decisions, despite the painful obviousness of the quality of our decisions. 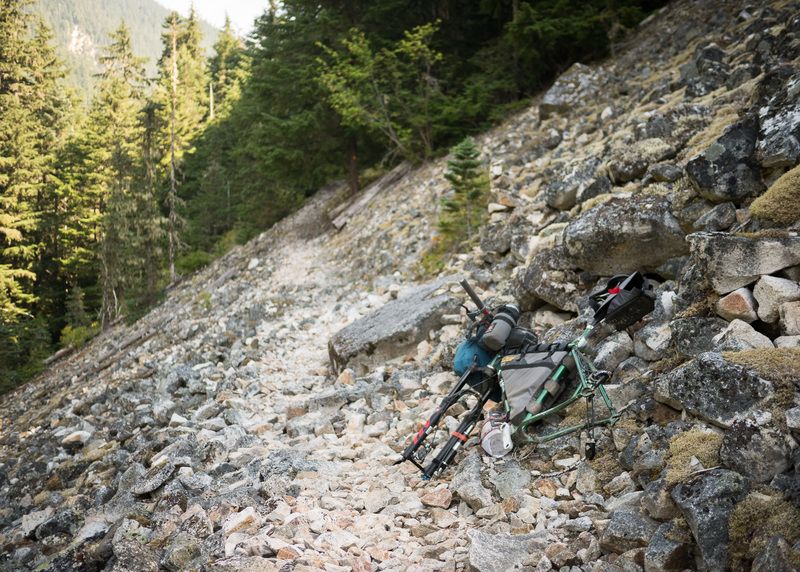 We took the worst bikepacking “shortcut” there ever was, and spent 48hrs, half of it on a few scraps of food, on a 5.4km stretch of trail. I’ll admit there has been very little planning of our route east from Vancouver, on a two month trip that might take us as far as Calgary or way down to Arizona. We don’t know yet. 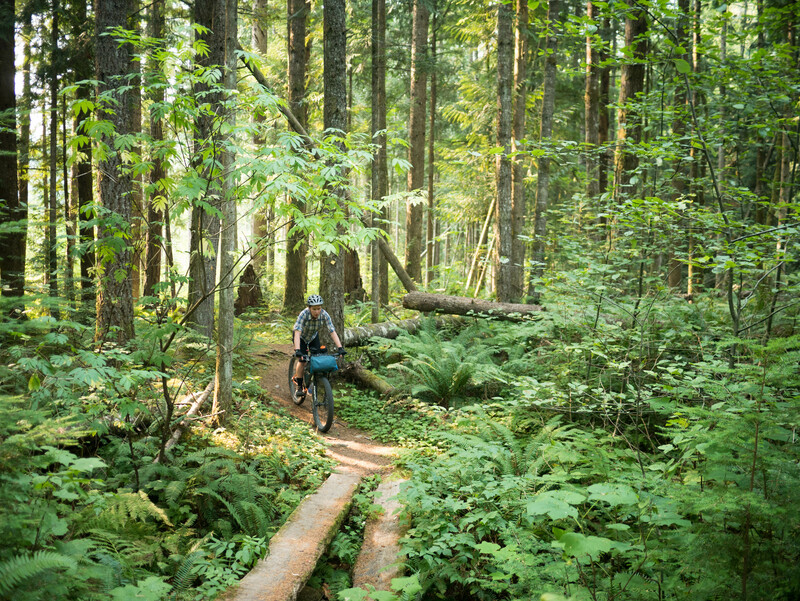 But we did know we’d ride from our start point in Mission, 70km from Vancouver, up the Chilliwack river valley and to Hope, loosely following the Trans Canada Trail (TCT). I have no good excuse for not even calculating the length of that segment, other than that we were too busy getting ready to go. Getting out the door is the most important step of a trip. So they say. The TCT follows dyke roads through the Fraser Valley , beofre turning up the Chilliwack River valley. 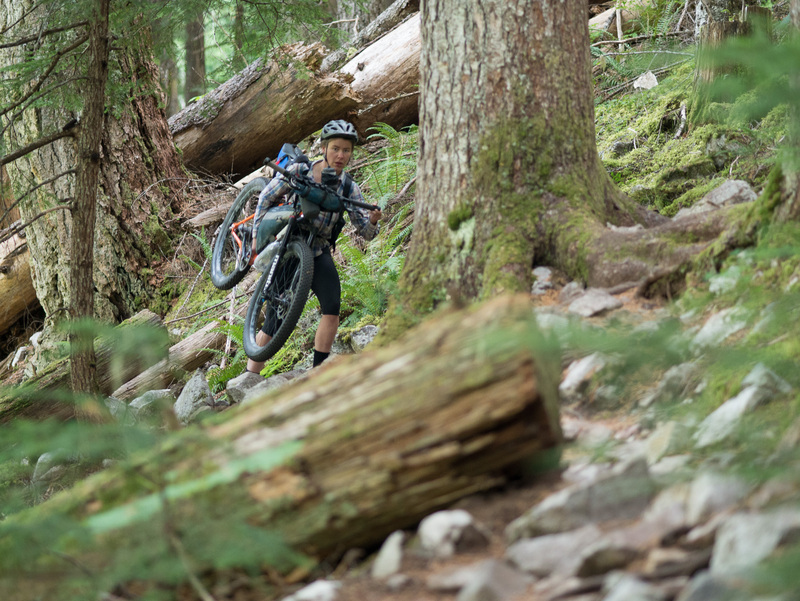 It rolls between quad trail, dirt road, and easy forested singletrack. Beautiful, in places, despite the logging and littering recreators. 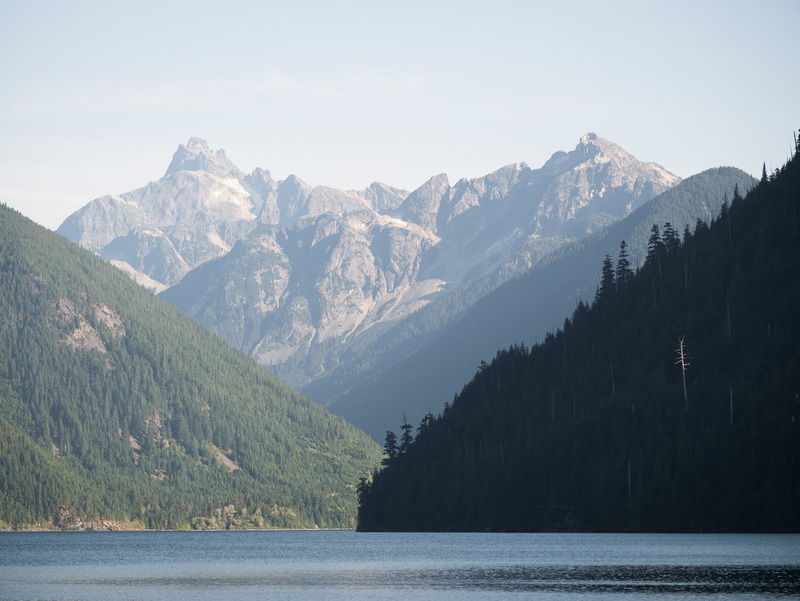 Day two, arriving at Chilliwack Lake, with only one night of food left, we saw what appeared to be a shorter, lower route across the mountains to the Silver Creek valley, than of the TCT on the map. We reasoned that almost no matter the difficulty of the trail, only 5.4km to Greendrop Lake, which was basically at the pass where we could pick up logging roads, it would be quicker than going the long way around on the TCT. 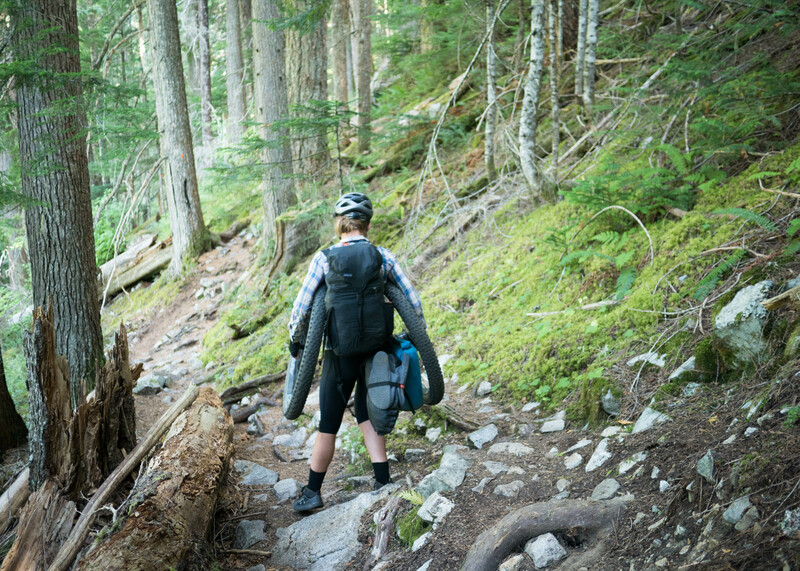 We maintained this belief even as we carried our bikes up a 1.7km long ladder to Lindeman Lake, and broke them apart to shuttle double loads across several boulder fields the next day. 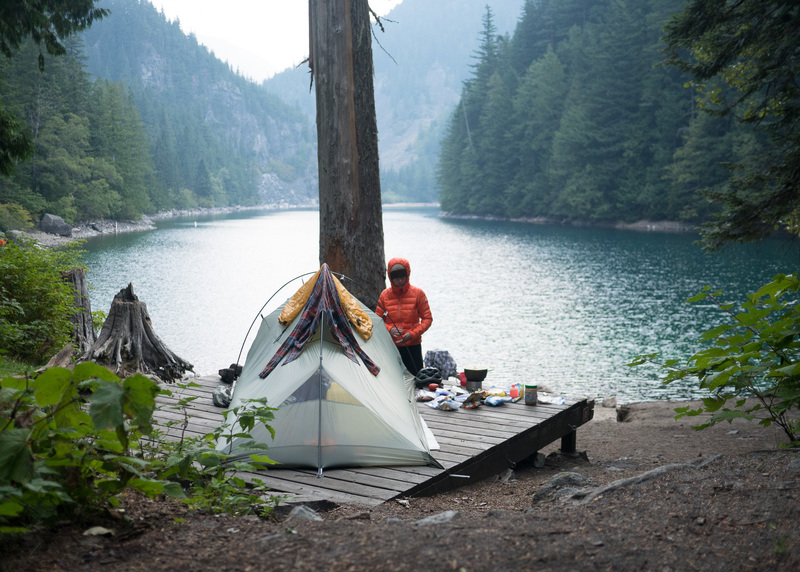 After the evening climb to Lindeman Lake, our campspot was totally lacking in an ominousness it deserved. At some point we were passed by a pair of women, who offered much skepticism and no encouragement. Thinking back, they gave the impression of being familiar with the area, but perhaps due to the stinging tone of their “gooooood luck…” or the slight condescention of their “now you’re walking everything twice, so it’s not quicker this way is it?” or perhaps due to some latent sexism on my part, my ego only allowed me to ignore them rather than inquiring about the trail ahead. I hope to one day become a better person. Arriving at Greendrop Lake, exhausted and frustrated, we discovered there was no longer a trail around the lake or any connection to the logging roads. While scouting for a route along the shore, I slipped on a log and landed hard on my middle finger. I think I must have dislocated it and relocated it in my immediate reaction. Before long it had doubled in size and was turning technicoloured on all sides. Still we had already suffered so much and the logging road lay just across the lake. Eventually, it became apparent the the easiest way to the other end of the cliff-guarded lake was by water. We strapped gear to our inflated sleeping pads and, in several trips, made a several-hour journey across. 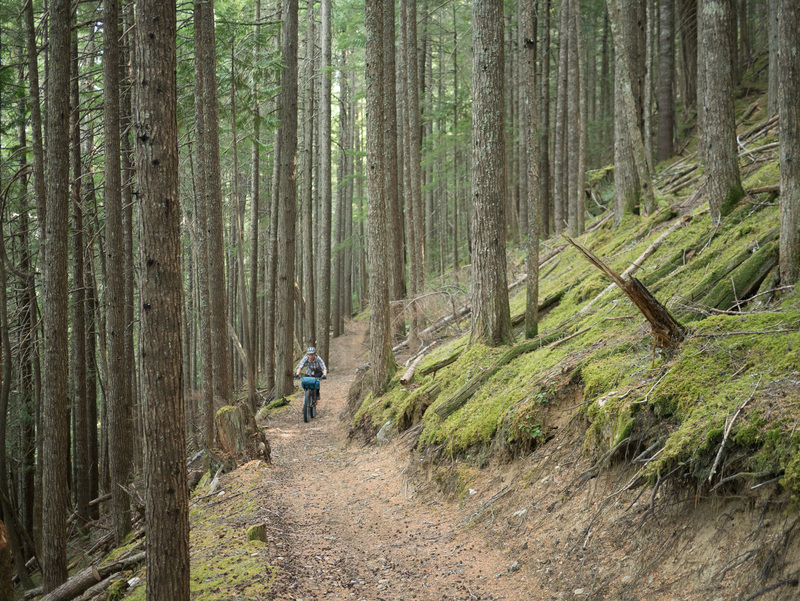 Once on the other side, I went in search of the easiest route to the logging road. My colclusion was grim: straight up a steep, loose boulder field for a couple hundred meters, along a 45 degree slope of slick forest litter, and through a hundred meters of impposibly thick forest regen, stems 30cm apart. The road I found was brushed in with slide alder, but not impenetrable, I hoped. While trying to find a route through the thickest brush that might allow passage of a bicycle, I stepped on a wasp nest. Before I realized, I’d been stung a dozen times on my legs. Luckily I’m not allergic. Trip one, still optimistic, I swim off around the point. It floats, yes, but that doesn’t make it a good idea. Back down at the lake, we even decided to continue. One way or another, we’d be skipping a few meals. Our choices, forward and back, both looked horrible. I cried for the first time in the mountains, from a combination of fear or dread or exhaustion. So why not go forward? It wasn’t until I rolled a half-ton boulder and narrowly dodged being crushed that we finally made the decision to retreat. I cried again, so Panthea wouldn’t have to. 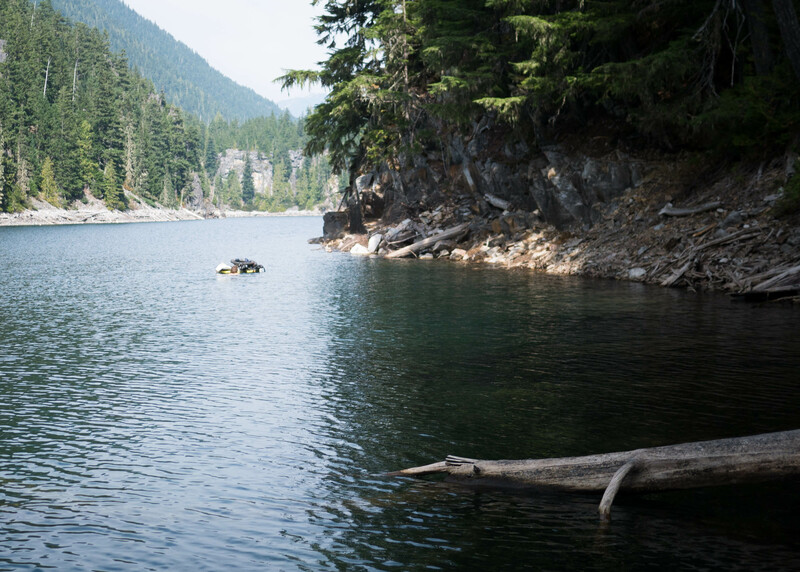 Some hours later, shortly after dusk, a man on a hiking trip with his sons saw two shivering creatures emerge from the lake near their camp spot. Startled, he helped these hypothermic amphibians carry their buoyant loads to a camp spot in the woods. Fire ban be damned, the lake creatures built a fire – humans all along, it turns out. The next day, we pushed down the trail, avoiding eye-contact with the urban day-walkers so as not to speak how we came to be on a boulder field, far from any rideable trail. “Idiots” said their eyes, not in a look, but rather in the reflection. Going downhill proved easier, and we mostly rolled, with short stretches of carrying. At Chilliwack Lake it was still 50km, backward, to a grocery store. Those backward kilometers had it all feeling at an end, only four days after we left home. 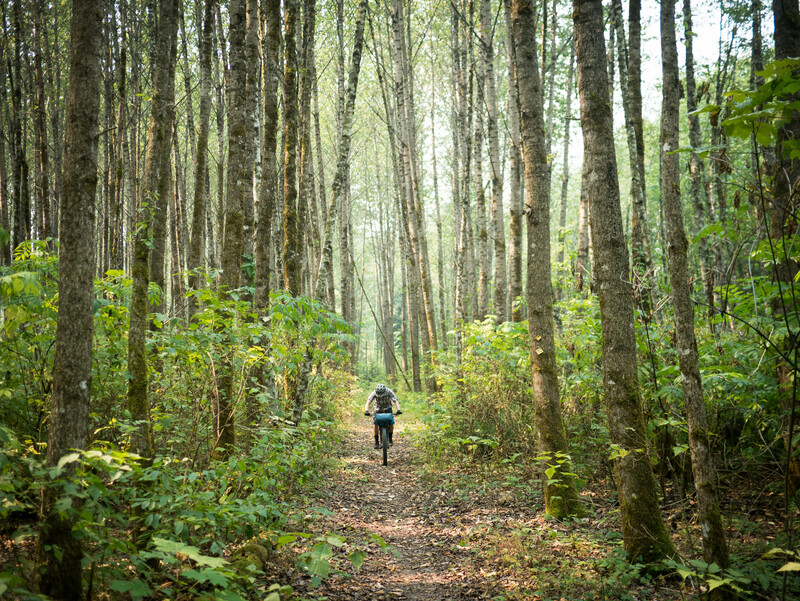 We moped around the Provincial Park campground, caressing the graded gravel surface beneath our tired tires and hoping for pity from a camper or the campground host. Someone might sell us some food. We didn’t share the details of where we’d been with the campground maintenance folks. They’d know the trail, and be able to accurately judge our intellect. We hid behind vagueness. And so, Judy, patron saint of starving bikepackers, lent us her personal vehicle for a trip down valley to the supermarket. She even tolerated my lurching departure, years since I’d driven a manual transmission, leaving her in a miasma of burning clutch. Her generosity meant more than food for shrunken bellies, it meant the recovery of our trip, and fuel for shrunken spirits. The egos can stay shrunken, thanks. I hope Judy never reads this. …great for swimming, and other pleasantries. Back on track, we’re reminded the TCT offers great bicycle travel. Panthea and I are on a long dirt touring/bikepacking trip. So far, we’ve ridden 1000km across Southern BC. Follow me on instagram and Facebook for more frequent updates from the road, and stay tuned for more blog posts as we make our way eastward and then…somewhere. Glad to hear from you,tis a serious business and you have to deal with it. you did! As you look back on this, it will probably become a fond memory. You learned something and you pushed your limits. Somehow, perhaps far back but most certainly – we are related. Don’t be too hard on yourselves. It’s the experimenters who find the surprising gems. Most of us just stick to tried and true routes, and are impoverished for it.